It is the study of the characteristics of speech sounds. We can categorize in further branches. 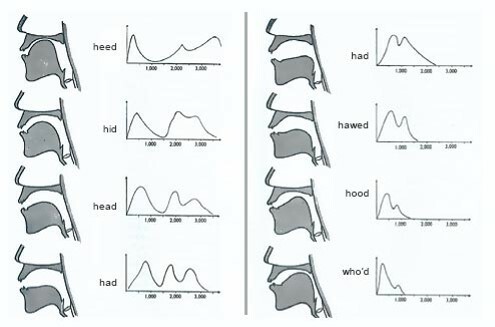 It is about how speech sounds are made or articulated. It about the analysis of speech sound waves. 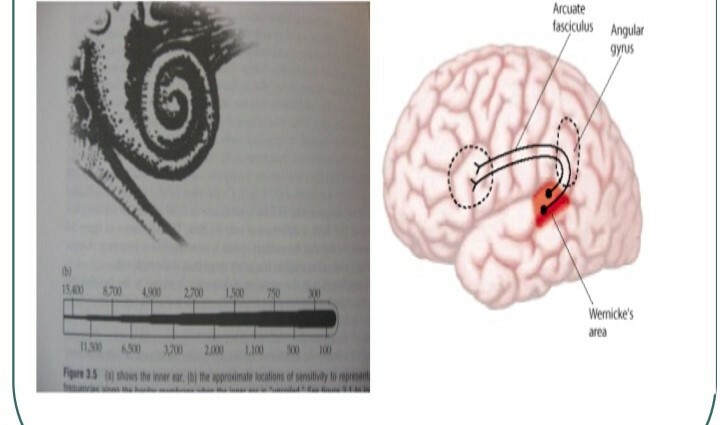 It is the study about how we receive and perceive the speech sound in our ears and brain. 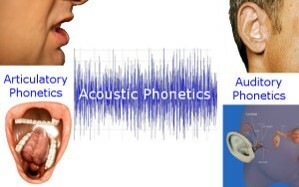 In this tutorial, we will study in detail about articulatory phonetics. Human respiratory system is not only vital for respiration but it also plays very important role in speech synthesis. All of its parts in general and nasal cavity, oral cavity, pharynx and larynx are particularly concerned with speech synthesis. It is also called sound box. 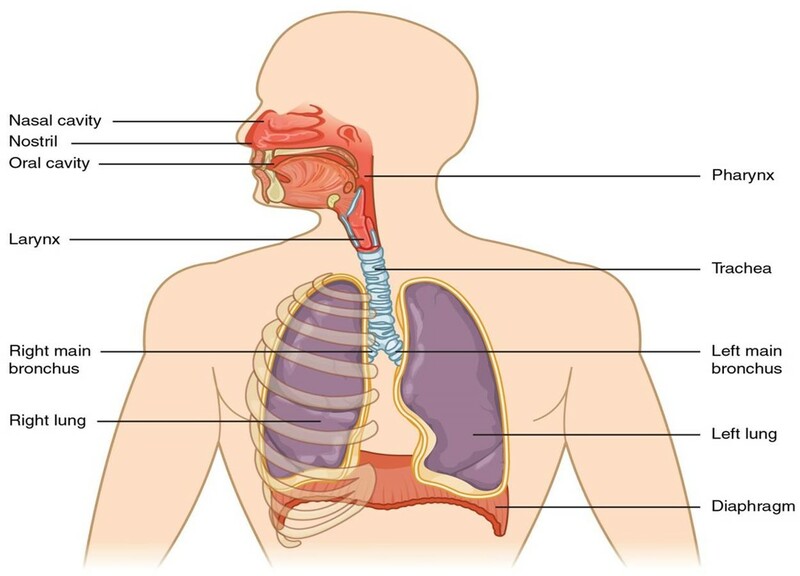 As shown in above human respiratory system diagram, it is located between trachea and pharynx. It contains vocal cords (also known as vocal folds) which vibrate to produce speech sound. Air coming from lungs cause them vibrate. They can vibrate very fast ranging from 100 to 1000 times per second depending upon the pitch of the speech sound. The larynx and the vocal cords can be observed while talking. The larynx widens the aperture while we are inhaling. The aperture becomes narrow while whispering. During the process of speech making, the cords come close together and vibrate. we loosen the cords for lower pitch and stretch them for higher pitch. Here the video that explains the sound making process by vocal cords of larynx. The speech sounds for which the air passes through the vocal cords unimpeded are called voiceless sounds. 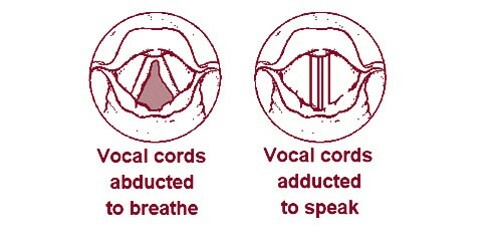 When the vocal cords are drawn together, the speech sound is produces with vibration. It is called voiced speech sound. How to distinguish between voiced and voiceless sounds? There are many tricks. You can observe them yourselves by using the voiceless sound P and voiced sound B. You have to exert little bit more energy for exhaling for voiced speech sounds. Compare P & B. Put your finger on Adam’s apple , you will feel vibration for voiced speech sounds. Compare P & B. Put a finger in each ear and say P & B. You will feel vibration for voiced sound i.e. B.
Categorization by Place of Articulation. The speech sounds which involve both upper and lower lips are called bilabials. Example: m, b, p. The w in words like world, walk and way is also bilabial. The labiodentals are produced by the help of upper front teeth and lower lips. Example: f and v. The last sound in cough is also labiodental as it is pronounced like f.
The sounds produced when the tip of the tongue is behind the upper front teeth. Example: The voiceless sound at the end of “teeth”, “bath” or the first sound of “thin” or “think” is dental. It is represented by θ theta symbol. The voiced sound at front of “there”, “the” or “they” is also dental. When the tongue tip touches the alveolar ridge alveolar sounds are produced. The alveolar ridge is the rough place behind and above the upper teeth. The hard part in the roof of our mouth is called hard palate or just palate. The sounds produced with the help of tongue tip and the hard palate are called Palatals. The tʃ sound in start of “china” or at the end of “much”. The ʃ sound in start of shoe or at the end of brush. The ʒ sound inside pleasure or measure. The ʤ sound at the start of joke. In the roof of our mouth behind the hard palate, there is a soft palate, also called velum. The sounds produced by the back of the tongue and the velum are called velar sounds. Example: k sound like in kill, kid, car. g sound like in gun, go, google. There is also nasal velar sound denoted by ŋ as at the end of sing and bang. The sounds produced when the glottis open are glottal sounds. 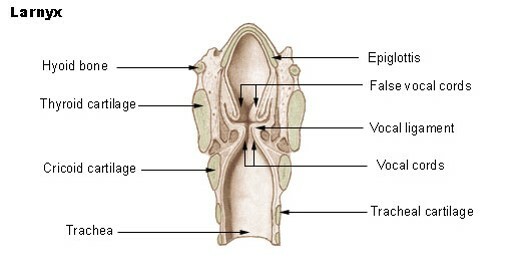 The glottis is the open space between vocal cords/folds of larynx. Example. The initial h sound in has, have, who and house t.
Now, instead of place of articulation, we are going to study how the articulation occurs. The stops/plosives are the speech sounds which are produced by stop and release mechanism. You stop the air stream for a while and then release it. The mechanism is very similar to a car mechanic who plays with the silencer after tuning. When the air stream passes through a narrow opening having some friction, fricatives are produced. The word fricative is derived from the word friction. If we combine both aforementioned mechanisms i.e. stops and fricatives, the sound produced is called Affricate. Nasals are the human speech sounds for which some air also passes through nose. You can not articulate these sounds properly if close the air passage through nostrils. When the tongue is curled and raised and the air passes through its sides, liquids are produced. When you stop and release the air stream at glottis level, the sounds produced are called Glottal Stops. 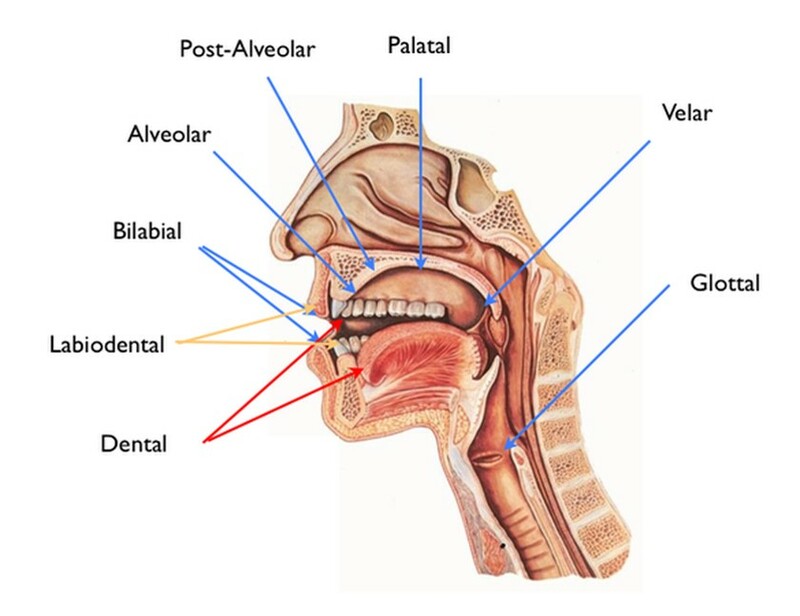 As already mentioned, the glottis is the open space between vocal cords/folds of larynx. The sounds which are produced by no air obstruction or closure are called vowels. They may further categorized as under. For front vowels, the tongue is positioned as far in front as possible. Of course the tongue does not cause any obstruction to the air stream. The central vowels are called so because the tongue is positioned at half way between front vowels and back vowels. schwa (ə) is short vowel and usually not written in Shahmukhi, Gurmukhi and Devanagari scripts. The wedge is the little more stressed than schwa as you can observe yourselves in examples. The vowels where tongue is positioned as far back as possible are called back vowels. The speech sounds made from more than one vowel sounds are called Diphthongs. As shown below, they usually involve central to back, central to front etc.